Due to the unique nature of an academic role, applicant documents may differ to the usual. However, most roles will require the submission of a professional resume, cover letter and/or responses to key selection criteria. Positions are generally advertised at university level, with each position requiring specific selection criteria to be addressed within guidelines stipulated by the university. Academic promotion is merit-based, and the applicant has to demonstrate to a selection committee or their peers that there will be an increase of the quality and impact of their proposed activities. 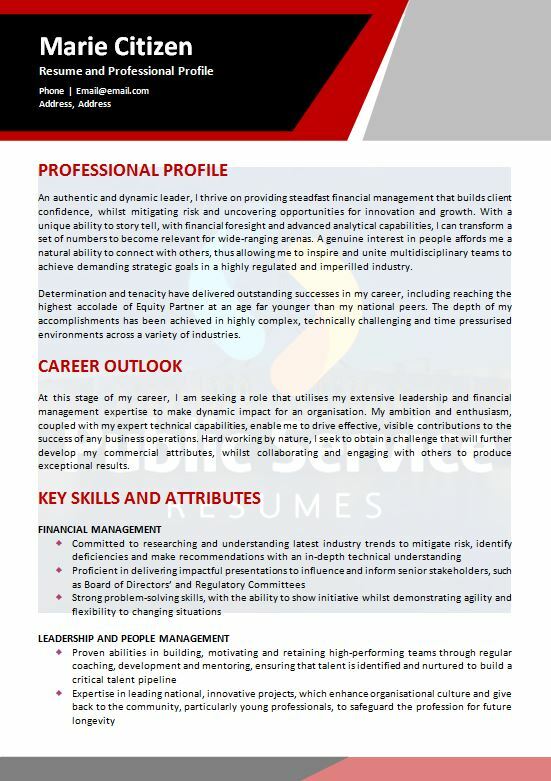 Academic resumes differ from the resumes typically used by non-academics in the industry as there is a requirement to present research activities, various publications and awarded funding, in addition to the various other items usually contained in a resume. An academic resume is a credential-driven document that focuses on showcasing contributions to a particular field of study or practice. As a result, when you engage Public Service Resumes, your professional Writer will place emphasis on your relevant education, certifications, training, publications, research accomplishments and presentations throughout your academic resume. 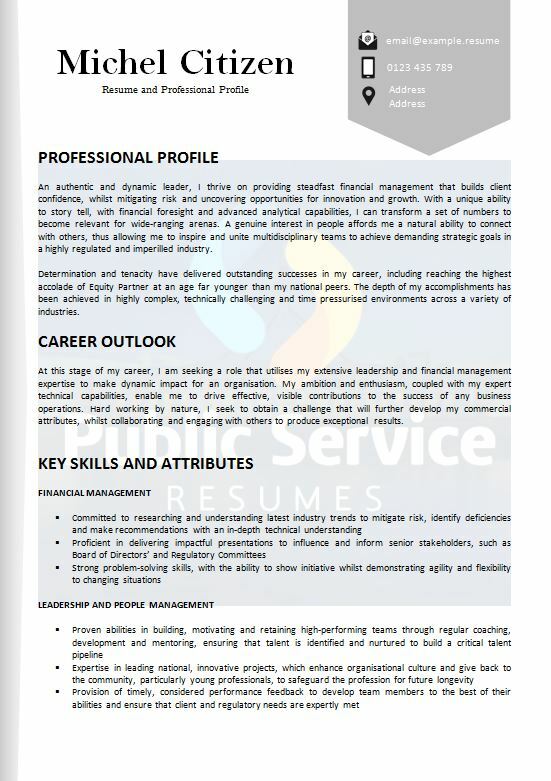 As expected, academic resumes can be quite comprehensive and do not abide by typical resume page or layout rules. For example, a researcher with over twenty years of experience could have an academic resume up to fifteen pages long. A large portion of academic resumes are dedicated to listing examples of publications written, presentations given, and funding gained to undertake research. 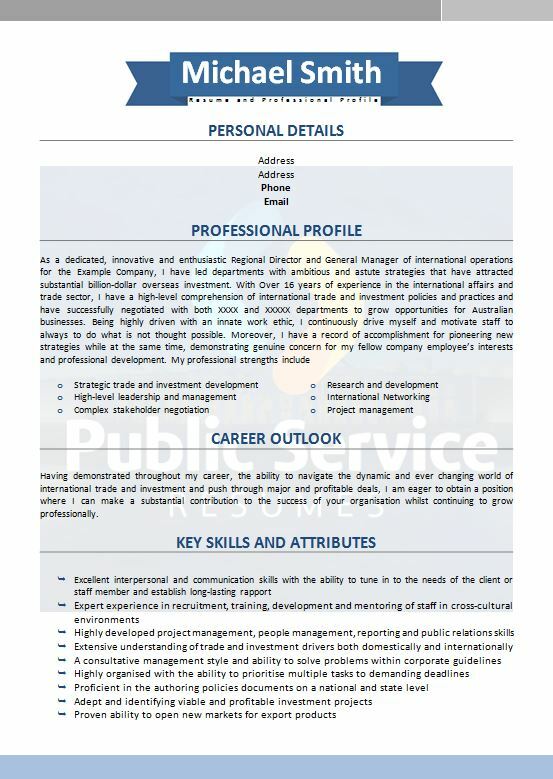 An academic resume written by Public Service Resumes will allow you to showcase yourself and your academic and professional achievements in a concise and effective manner. The result will be a compelling resume that is well-organised and easy-to-read, yet accurately represents your highest academic accomplishments. When you are applying for an academic role at a college or university, your cover letter will also differ significantly from the standard business cover letter. In most cases, applications are reviewed by faculty members and/or academic deans who are accustomed to reading more lengthy academic cover letters and resumes. The application reviewers will typically have an interest in your philosophy and approach to teaching and research within your discipline. They will also be evaluating how your background fits with the type of institution where they work. As such, it is important that if you possess traditionally valued areas of expertise not already represented by the current faculty, that those strengths are highlighted in your cover letter. When you engage Public Service Resumes to assist you with writing your cover letter, your professional Writer will leverage their skills to tailor your letter to the orientation of the university or college. This will include adjusting the mix of emphasis on teaching and research based on the role and expectations. In addition to your resume and cover letter, when applying for an academic role, you may also be required to submit responses to key selection criteria. This could be in the traditional page per criterion format, or by way of statement of claims. However, no matter what the format is, the key to a strong response is your ability to provide solid examples from your experience to verify your experience, skills, qualifications and knowledge in line with the role. Even if you have a brilliant academic resume and cover letter that showcases your excellent skills and qualifications to do the job, if you do not address the selection criteria in a separate document that explains how well you fit each criterion, chances are you will be overlooked. Fulfilling the selection criteria to the satisfaction of the selection committee is the only way you can make it across the line to the next stage of the recruitment process – the interview. Selection criteria will often be behavioural-based. When you engage Public Service Resumes to assist you with your selection criteria, the framework that we use is the STAR approach. We will spend time discussing your achievements and examples from your experience in line with each of the criterion points to determine the Situation (the situation that required you to use the skills the criterion point is asking about), Task (within that situation, what your responsibilities were), Action (the skills you used or developed to carry out the task), and Result (what the outcomes of your actions were). This can be a comprehensive process, but one that is well worth the time to prove your suitability against the role. Whether you are applying for research funding or want to become a professor, our academic resume, cover letter and key selection criteria writers know how to highlight your experience. 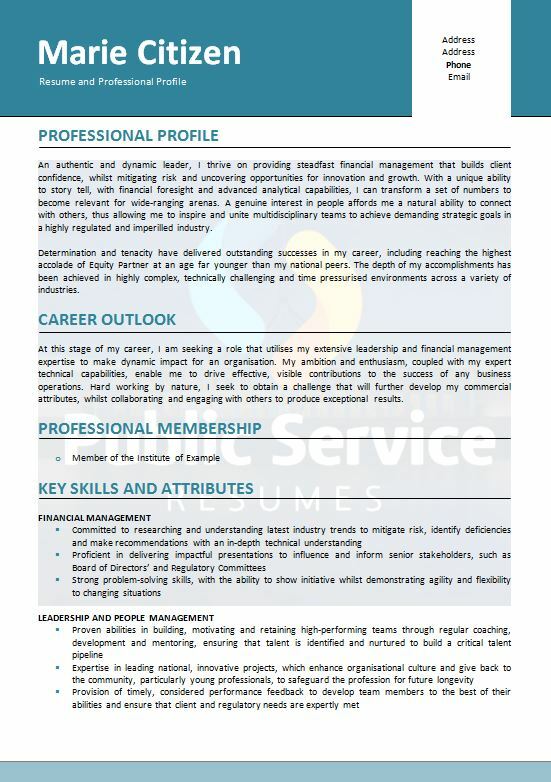 With advanced skills in cutting-edge techniques in the resume writing process, the team at Public Service Resumes know how to effectively brand and target your academic career documents. Moreover, we know how to communicate your value to a potential employer, faculty or board with sophistication and style. Call the team at Public Service Resumes today for an obligation-free quote.